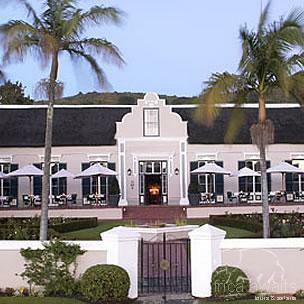 Grande Roche is a celebrated international hotel, famous for its exquisite location in the heart of the beautiful Cape Winelands as well as for its luxurious, cosmopolitan accommodation, award-winning cuisine and matchless service and hospitality. 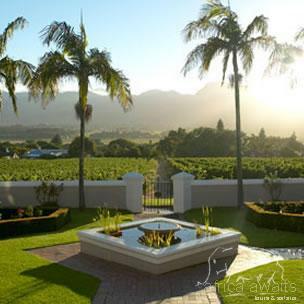 Grande Roche is situated on the site of the old De Nieuwe Plantatie in the Drakenstein valley of Paarl, South Africa. Its heritage dates back to 1717 when a grant of land was given to Hermanus Bosman. Over the years the homestead grew and changed and, in 1876, it was renovated to reflect the then popular Victorian style. The farm was bought and modernised by the Du Toit family in 1926 and after a fire in 1953 it was rebuilt as a Victorian manor house. It was finally restored to its original Cape Dutch splendour after careful research in 1991 and transformed into a luxury hotel. In 1993, the fastidious restoration was acknowledged when the Grande Roche Estate was declared a national monument. Today Grande Roche is a celebrated international hotel, famous for its exquisite location in the heart of the beautiful Cape Winelands as well as for its luxurious, cosmopolitan accommodation, award-winning cuisine and matchless service and hospitality.The immaculately restored Cape Dutch homestead at Grande Roche dates back to the 18th century, and offers guests a variety of sumptuous accommodations which include 29 luxury suites and five executive rooms. Each of our luxurious accommodations has been lavishly designed and decorated for the comfort and pampering of guests. We ensure that everyone who visits Grande Roche leaves with special memories of this unique estate escape - the treasure of the Cape Winelands. Bosman's is a 70-seater restaurant with a terrace and patio seating 60 in fine weather. It is open seven days a week. For groups of eight or more, the Banqueting department will help to choose a menu to suit the guest and the occasion. Dress code for the restaurant is smart - no "Jacket & Tie" requirement. There is wheelchair access throughout as well as designated parking bays. 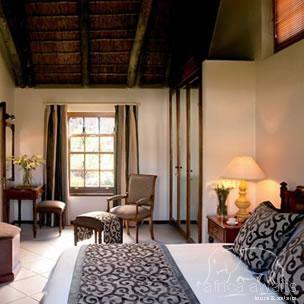 With your holiday, safari or business trip from in to Grande Roche in Cape Winelands.